On the eve of MLS Cup, SI's Grant Wahl answers your questions about the league, its direction, World Cup expansion, Landon Donovan, Christian Pulisic and more. TORONTO – You can call it the MLS Cup Final of Ambition. Every year—well, most years—I release what I call my MLS Ambition Rankings before the start of the MLS season. They’re basically my take, based on several factors, on how much ambition each club in the league is showing. 2015 I flaked out and didn’t do ambition rankings. Yes, the 2013 final had two teams from the top four (Kansas City and Salt Lake), but this year’s finalists are ranked higher and spend a lot more money on their players. Why is that important? Well, I would argue that you want the most ambitious teams to reach the final, because that will encourage other teams to be just as ambitious. When New England—ranked No. 17 in the 2014 Ambition Rankings—made it to the final that year, it didn’t exactly scream out that good things will come to those who think big, did it? 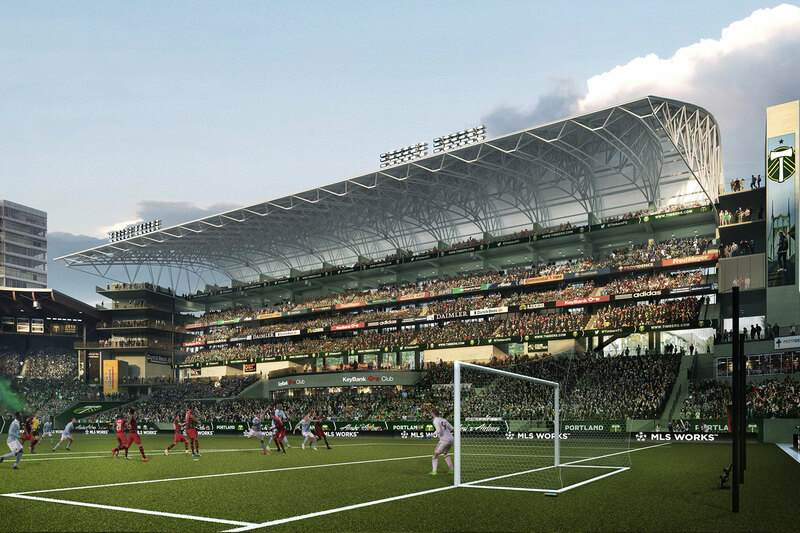 Both Seattle and Toronto have in their own ways taken MLS to new levels over the years. Seattle was the club that blew the doors off the league’s attendance records and has averaged more than 40,000 fans a game every year after 2011. Meanwhile, Toronto set MLS records for spending on players. For those and other reasons, MLS truly feels “major league” in both Seattle and Toronto in ways that it doesn’t in every MLS city. For both teams to end years of playoff misery and reach their first MLS final is both a reward and an encouragement to other teams that this is how you do it. Giovinco (29 years old) and Lodeiro (27) are the biggest stars on their teams and major Designated Player investments by Toronto and Seattle. They’re also still in their 20s, which one hopes is showing the way for future big MLS signings. My guess is 99% of the people who use the phrase “retirement league” to describe the league have seen less than one full MLS game this season. Granted, there still are signings like the Steven Gerrard pickup by LA, which didn’t turn out well, but I find it instructive that LA is now saying that there’s a “shift in philosophy” at the club moving forward in that area. It’s possible for stars in their 30s to make an impact in MLS—MVP David Villa is showing that every week—but I get most fired up by signings like Giovinco, Lodeiro and 22-year-old Miguel Almirón with Atlanta this week. I can’t say with any certainty on this, but I do think Bradley would be a bit more open to a move if he can win a trophy this week with Toronto. That could be to Italy, where there has been interest, and it could be to Swansea, where his father, Bob, is the coach. That said, a Swansea move is no slam dunk. Bob Bradley doesn’t have a guaranteed long-term future at the club, and trying to bring in his son might or might not go over well with the club brass at Swansea. I don’t see it right now. The only time MLS seriously entertained the idea was at a press conference at the 2010 MLS Cup final in Toronto—and only then because the decision for a World Cup 2022 host was coming a few days later and the league knew then-FIFA president Sepp Blatter wanted MLS to be on the international calendar. Once the U.S. lost out on the ’22 World Cup, league officials buried the international calendar interest as quickly as possible. Moving to the international calendar was the only thing Blatter wanted to talk about when asked about MLS, but my sense is his replacement, Gianni Infantino, doesn’t care that much about the topic. We should find out in January which format FIFA will pick for World Cup 2026: 32 teams, 40 teams or 48 teams? My sense right now is that some of these lunatic proposals for a 48-team World Cup are being done to make a 40-team choice seem like a compromise. If I was a betting man, I’d pick the 40-team World Cup for the most likely outcome. The news I reported this week was that MLS is set to announce an $8.8 million increase in Targeted Allocation Money for 2017 beyond what had been previously earmarked, raising the amount of TAM per team in 2017 to $1.2 million. MLS doesn’t just increase the salary cap because league officials want to focus on the T in TAM. They want that extra money targeted to a specific level of player just below the Designated Player level who they think will have an immediate impact on the field. It could go either way, to be honest. Liverpool has maintained its interest in Pulisic, and reports are that PSG is interested as well. But I think Pulisic, who’s still just 18, realizes that the best place for him to develop in the next couple years is at Dortmund—as long as he continues getting playing time. My guess is Pulisic signs an extension with Dortmund and continues drawing interest from other clubs. Still, I don’t think he plans to spend his career at Dortmund, which is viewed (at the highest levels) as a selling club. Donovan hasn’t officially retired again, but I did report this week that Donovan is extremely unlikely to return to playing in 2017. I can also report the answer to your question: Donovan isn’t interested right now in being on the staff of U.S. coach Bruce Arena. One of the nice things about buying young Designated Players is they will likely have a significant resale value. Atlanta is under no illusions that Almirón or Héctor Villalba plan to spend their entire career in MLS, and there’s nothing wrong with that. What is cool to see is a team like Atlanta beating out a team like Arsenal to Almirón, though Almirón may well move on to a European team at some point. From my perspective, Alonso’s MLS career in Seattle has gone from “terminally underrated” to “properly rated by people who follow things closely” to “kind of overrated” in 2015 to the point that Seattle was shopping Alonso around the league and couldn’t find any takers for his salary. But then Alonso turned around and had a fantastic 2016 that should have put him on the league’s Best XI (but somehow did not). So he’s back to being underrated. Can’t wait to see Alonso go up against Michael Bradley and the Toronto midfield on Saturday. Not at all. First off, Klinsmann did some good things during his tenure, and one of them was to give Zardes a shot at the senior national team. Of course Zardes was thankful to the manager who had faith in him and gave him a chance. The lease at the Bridgeview stadium is truly oppressive. If the Fire can ever find a not-terribly-painful way to get out from under it, I think they will. I don’t think so. 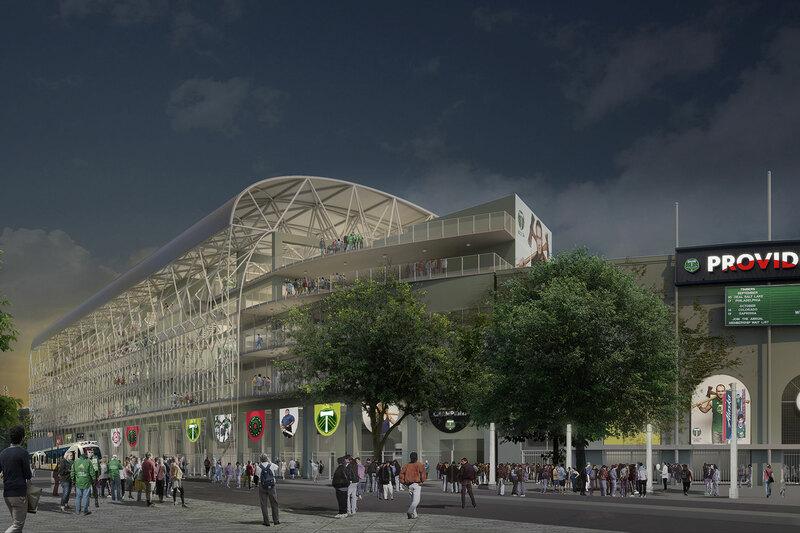 Minnesota United appears to be focusing its spending on the soccer stadium that it’s building. Your reader is correct, it is almost never called. The most recent call was against Brad Guzan in the game vs. Jamaica (Gold Cup). That call was made by a Costa Rican AR. It would be the AR's decision to notify the referee via a flag or communication device when the infringement takes place. Typically a warning is given and then the infringement punished on a second offense. The handling outside of the PA in distribution is considered a "trifling" offense, like the six second violation. In the new rules (post 6/1/16) there is a statement in Law Five which gives the officials the authority to apply the rules within "the spirit of the game." Seemingly, then, officials do not want to disrupt the flow of the game or have the game decided from a free kick from a "trifling offense." It is a completely different scenario if the handling takes place as part of an action to break up an attacking play and could even lead to a sending off (i.e. Man. City). I believe Guzan had been warned once prior to his being penalized.